Community ministries at the House of the Lord engage members in serving one another, the community, and the world with the love of God. These ministries include: missions, sports ministries, event planning, and new member orientation. Ministry team from various disciplines, gifts, abilities and talents that will plan The House of the Lord® special events. Ministry and support to those in the mission field locally, nationally and internationally. 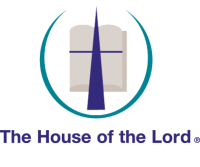 Ministry addressing the physical as well as spiritual body by providing and/or sponsoring sports activities for members and constituents of The House of the Lord®.